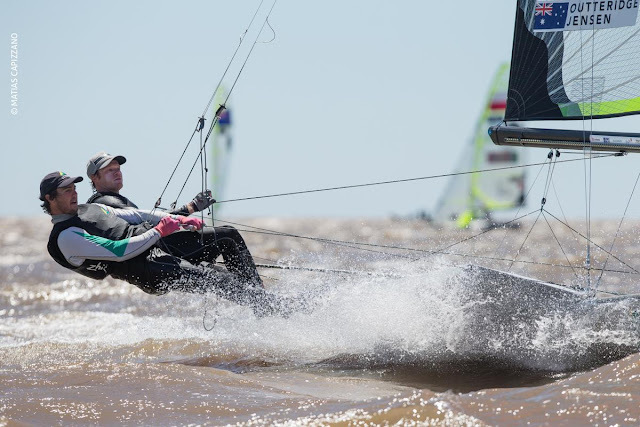 Peter Burling & Blair Tuke were crowned 2015 ahead of the Medal Race, confirming they are the current undisputed Nr 1, business as usual for the Kiwis. The two other highlights came also from Southern Hemisphere sailors (like the last Rugby World Cup: Nz, Aus & Arg), with Nathan Outteridge & Iain Jensen coming from way back in the overall to a Vice championship after finishing 2,2,1 & 2nd in the MR. 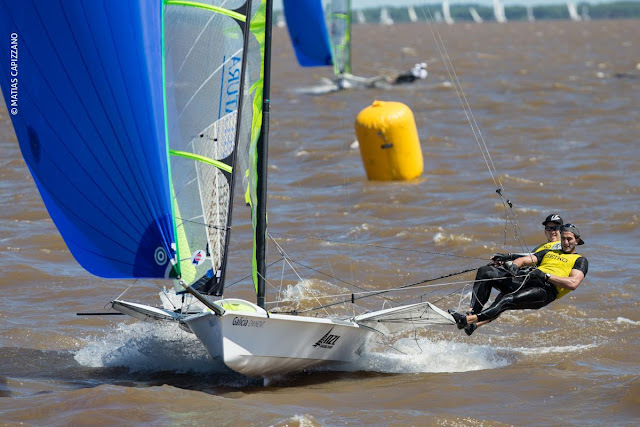 The Australians started the championship with 10,5,UFD,17,27. Nathan demonstrated his competitive spark is quite alive. 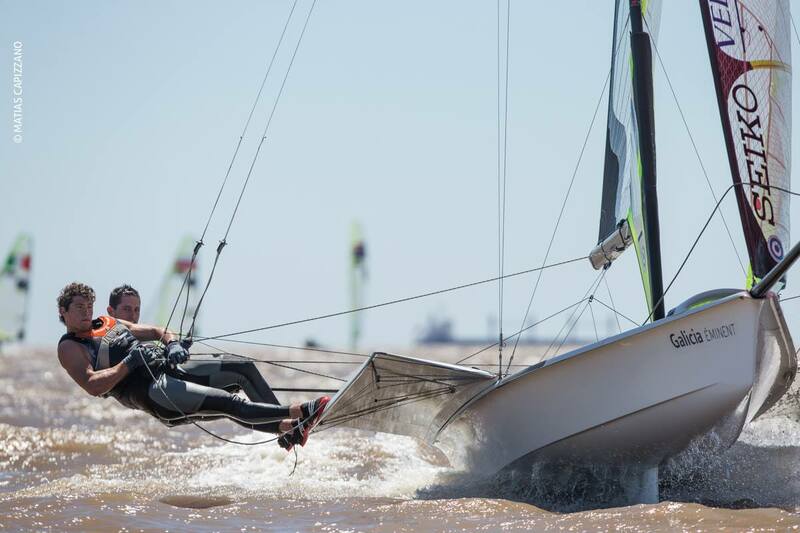 Artemis win at Bermuda , rib crash included and this excellent comeback here in Buenos Aires are building up his character towards Americas Cup Challenger Series. 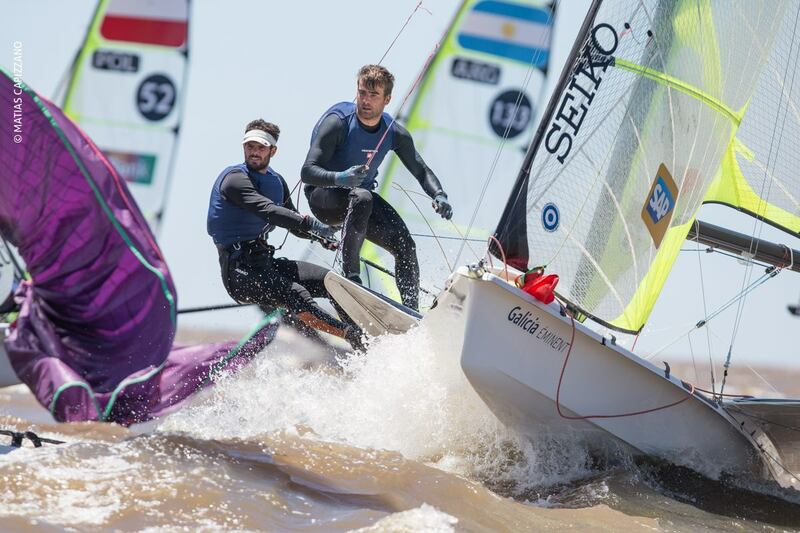 Argentina (the 3rd country from the South) had a Super Saturday grabbing two historic slots in the 49er &Fx Class: Yago & Klaus Lange finished 7th overall to secure the third available spot awarded in this Worlds and in the Fx Class Victoria Travascio & Maria Sol Branz closed the event in 11th place overall giving themselves a great gift with a confirmed ticket to Rio 2016. 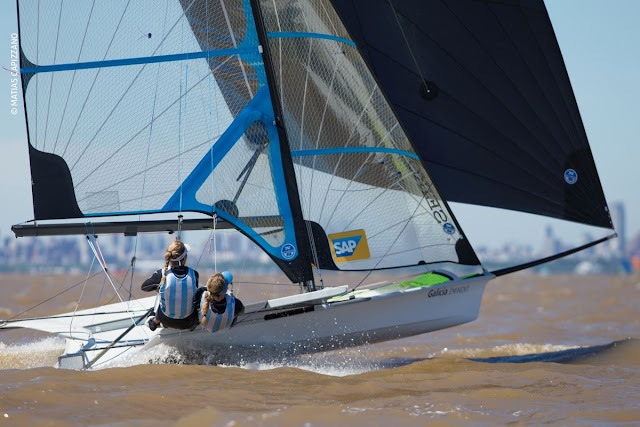 Two young crews who are part of a great present and represent the future for Argentina elite squad along many other young talented sailors. Speaking of the Future, we had Presidential elections yesterday. A new project won and we have great hopes to put this country back on the path and projection this Land had till 1930.